Come by the Lucky Penny Marketplace at the Two Penny Cafe, where you can sample a delicious range of local, small-batch products perfect for holiday entertaining and gift-giving. 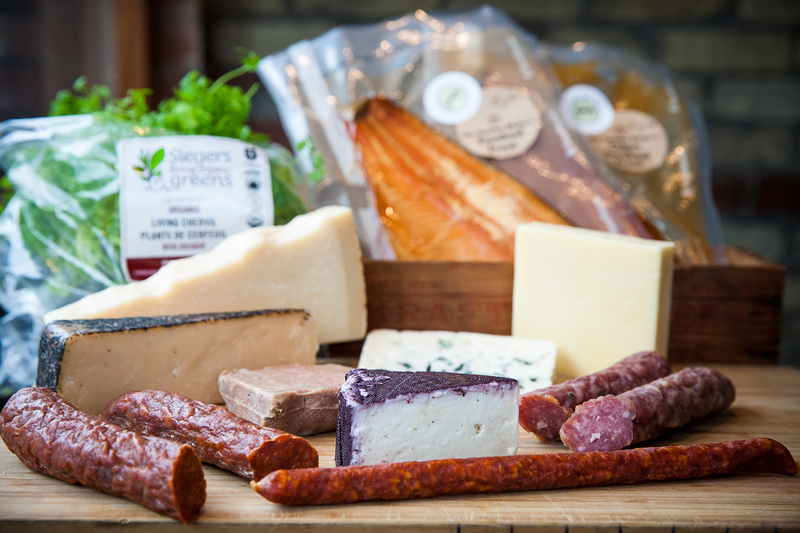 10% OFF local favourites such as The Smoke Bloke’s Smoked Salmon and Trout; Ontario and Quebec cheeses and cured meats, sweet & savoury jams and jellies; Voth’s Pickles; Twisted Tomato flavoured ketchups; Kozlik’s Mustards; specialty hot sauces, peanut butter and spreads. We have a selection of unique White Squirrel and Old Toronto themed pillows, coasters, pins, and cards. Terrific stocking-stuffer ideas, from Yoga Joes to retro-candy to Lucky Penny Hockey Pucks.